A divorce judgment or decree is an enforceable legal order. If your agreement is included as part of your decree, your ex is legally obligated to follow all its terms. However, if you have a verbal or private agreement with your ex, a Georgia court cannot enforce it or make him honor it. You’d have to petition the court to set the terms of your agreement into an order first. Only after this is accomplished can the court intercede if your ex refuses to abide by its terms. In Georgia, a contempt action is the common recourse for an ex-spouse breaking the terms of a divorce decree. Document all your efforts to try to get your ex-spouse to comply with your agreement. Include them in a motion or petition for contempt. When you file your action with the court, the clerk will give you a date when both you and your ex must appear before a judge. Your ex will then have to explain why he didn’t do what he was supposed to do. Depending on his violation, the judge will probably give him a short period of time to make the situation right. You might have a second court appearance a few weeks later, when the judge can determine if your spouse has finally complied. The court that issued your divorce decree has jurisdiction if your ex refuses to comply with the agreement. In legal terms, this is the “venue.” To file a contempt action, you must return to the Georgia county courthouse where you were divorced and submit your paperwork there, asking the court to intervene. Your ex cannot make an argument in court that the judge should change the terms of your decree because he thinks they're unfair. However, he can file his own petition with the court at another time, asking for modification of the terms of your agreement. For example, if he lost his job and can no longer afford his current spousal or child support payments, he can later ask the court to reduce the support. However, even if he’s successful, this won’t change the amount he owes you under the previous order; it only affects his obligation going forward. At the contempt hearing, a judge can enforce the terms of your decree and make your ex pay you unless he can prove there’s no possible way he can. He’d have to submit proof of income and proof of his budget to substantiate that he’s not squandering his income on luxury items. A contempt proceeding is a hybrid between criminal and family law procedures. Depending on your ex’s infraction, the court might handle enforcement in different ways. If he refuses to turn over property to you or complete arrangements to transfer retirement benefits as ordered by your decree, a judge can sentence him to jail time until he performs. If he owes past due support and he has the ability to pay, Georgia law allows the judge to order garnishment of his wages for the amount owed, plus interest. If your ex is breaking your agreement with respect to your children, you have other options in addition to a contempt proceeding. If he is refusing to pay child support, you can apply to Georgia’s Division of Child Support Services for help. The DCSS will take measures to collect from him after he has fallen a month behind. 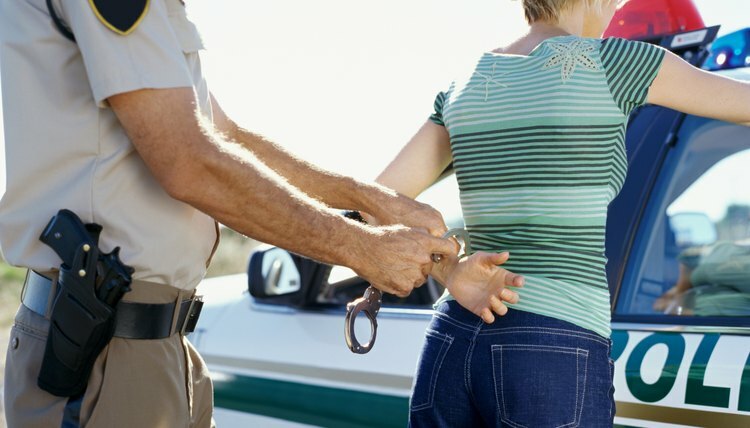 If he interferes with custody and refuses to return your children to you, you can file a criminal proceeding with your local police department. Interference with custody is a criminal offense in Georgia. FreeAdvice: How Do You Enforce a Divorce Decree When Your Spouse Doesn’t Comply? Depending on your state’s laws, disregarding the terms of a divorce judgment might either put you in jail or out a lot of money. Any order, judgment or decree issued by a family court judge is legally binding. The law obligates you to do whatever the order tells you to do. However, that does not necessarily mean that you’re stuck with it forever. In the process of getting your divorce, you and your ex-spouse may have made an agreement – sometimes called a marital settlement agreement – to address the specifics of your separation. A marital settlement agreement is a contract and, like any contract, you have the right to enforce it if your ex-spouse breaches it.